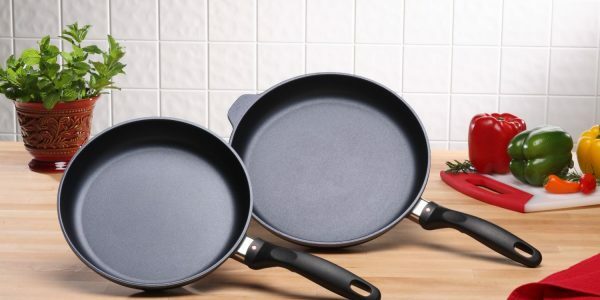 How many non-stick pans have lost their non-stick coating? How many have you had to throw out? How many have had that wonderful coating that is not good for you? Are you afraid to try non-stick anymore? You need to take a second look at the new generation of non-stick pans. You will want to add these to your collection of awesome cookware. Swiss Diamond pans are made in Switzerland where they encase real diamonds into the non-stick coating. This gives the pans a very hard and durable surface. They say you can use metal utensils with these pans. And that they are dishwasher safe. Even though the manufacturer says you can use the dishwasher, I wash these by hand. You will get years of service from them if well taken care of. I know someone who just replaced theirs after having it for 10 years! That’s a long time. So, hand wash and no metal utensils! I own an 8″, 10″ and 12″ skillet that I do the majority of my cooking in. The domed glass lids make it easy to see what is going on and high enough to give you room to really load up the pan. All you need is a quick swipe of butter and then crack in your eggs. They cook up perfectly. Take them off the heat and they slide right off onto your plate. Magic! I have occasionally burned something in them. Place in the sink, fill with hot tap water and swish with a paper towel. Burned on mess gone! These clean like up like a dream. And nothing sticks to them. I have made candy, cobblers, pasta dishes, chicken, pork chops, cooked ground beef, bacon, grilled sandwiches, pretty much anything you can do I have done in these pans. The pan handles are oven safe up to 500 degrees, so you can make cornbread, cobblers, dumplings, grunts or whatever that needs to be baked. I love my pans so much I have given some to my own mother, my sister and all my children as gifts. They all love them. These pans get high marks from me! Need them to work on an induction cook top? They have those too. 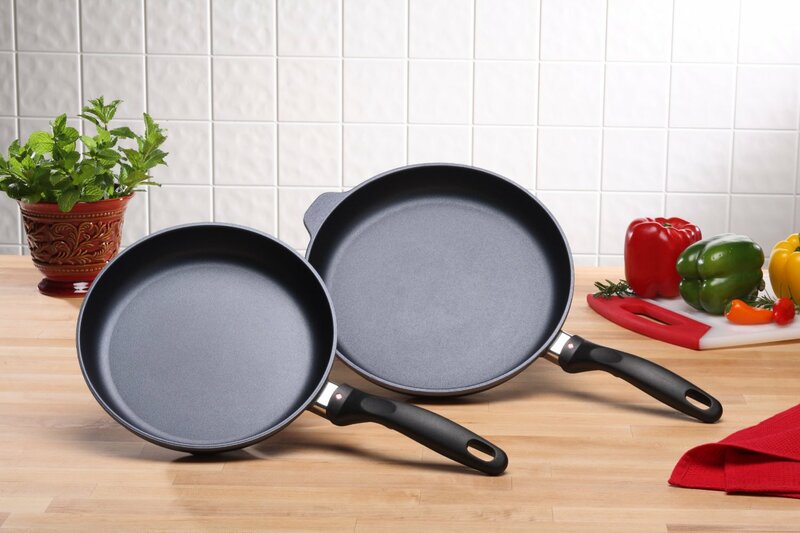 Take a look at these pans and see if they are right for you. If you click on any of the links on this page I will receive a small commission if you purchase. Thanks for helping to keep this blog going. Do they work on an induction cooktop? They have two types of pans. One that does not work on induction and one that does with a solid bottom. Here’s the link to go see what they have to offer.